Yesterday, I shared an article about how China (and the rest of the world) might one day won’t need to use hard cash to purchase goods and services. Seems like it’ll happen sooner with all the new digital/electronic payment technologies out there, e.g. Google Wallet, Apple Pay, Alipay, blockchain crypto payments, etc. to disrupt the ‘status quo’ of the payment system and technologies the world are using these days (which mostly were implemented in the ’70s). Below is a cut-and-paste from my old posting on Facebook. 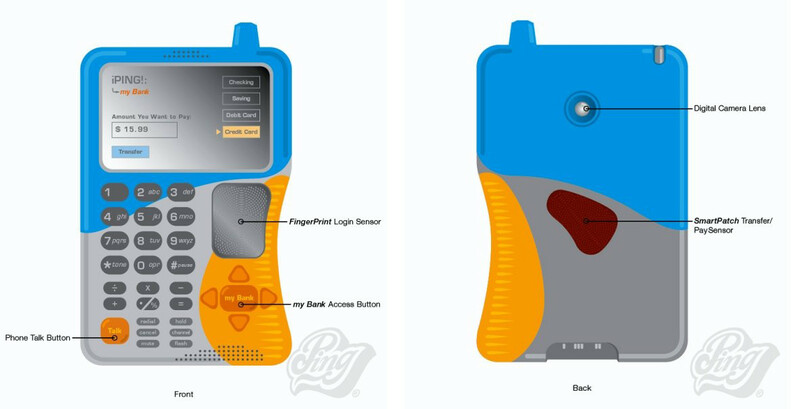 iPING!Smart$pending is a revolutionary wireless payment device. It works as a cell phone, wireless internet, a daily organizer, a money spending organizer and ‘adviser,’ a personal banking and a merchant payment tool. It consolidates payment and banking products eg. credit and debit cards, checking, saving and investments into one simple and convenient tool, a cell phone! – also, it is a tool that is enable people to pay and receive payments – that can be accessed everywhere at anytime!. It will further elevates today’s payment systems and change the way people doing business! A new era with no cash, no check writing, no credit cards; it is a smarter and safer money! To make any payment/purchasing/transaction happened in real-time. To define a new standard, a stronger and more secure payment system. To replace cash, check, credit and debit cards as today’s major payment tools. To be a main (payment) product which is simple, convenient, safer and smarter. To be broadly used by merchants and the public (costumers) to engage in business. To make the term “personal banking” 100% reality. To help making smarter and wiser spending, saving and investing decisions. The device must be preset by entering user’s banking information, e.g. checking and saving accounts, credit and debit cards’ information. And also user’s scanned fingerprint and password. To activate/login onto iPING! 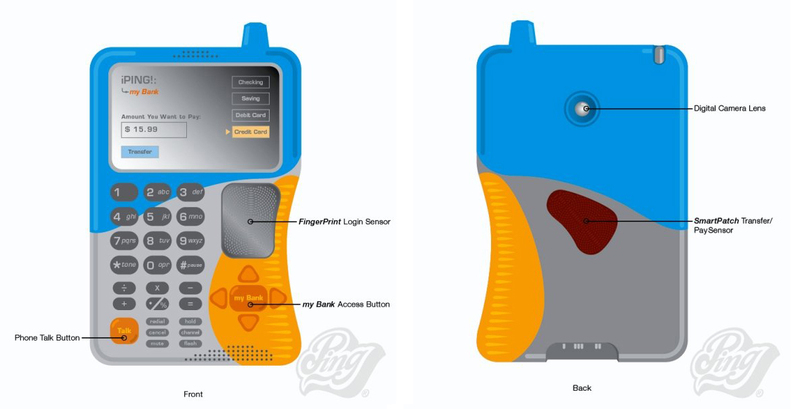 user must key-in password and scan his/her fingerprint through the FingerPrint recognition sensor for a maximum secure login. “my Bank” button is the direct access to user’s bank accounts (checking, saving, etc.). When active, iPING! can be a payment and/or a “merchant” tool as well – it can pay and receive payments. To make a payment: Type in the amount then click “transfer” then place iPING! device close enough to the store’s electronic payment “TouchPad” and “ping! (beep! )” the payment will be automatically transferred to the store’s account. And the balance of the user’s account will be automatically subtracted (in real-time). To make a transfer (eg. to a friend, another iPING! user): Type in the amount and click “transfer.” Place it close to the other user’s iPING! device, then “ping! (beep! )” the amount will be automatically transferred to his/her account – and vice versa. All transactions using the iPING! 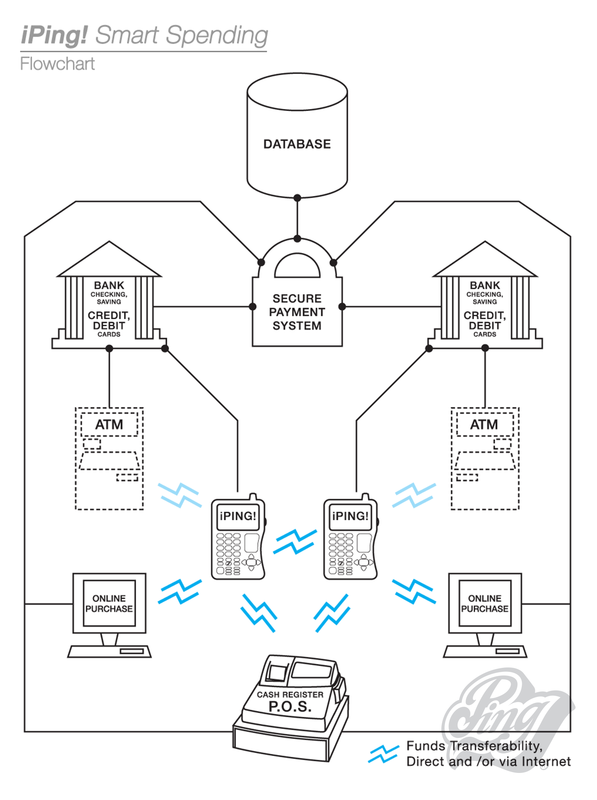 will be automatically recorded onto online banking databases. And can be easily checked and/or tracked for security and investigation purposes (if needed). With additional application installed (let’s call it “MoneySmart”) user can become ‘wiser’ in spending as well as investing his/her money. “MoneySmart” will play as the user’s auto “financial adviser” that monitor, calculate, advice him/her about budgeting and investing for better financial decisions. 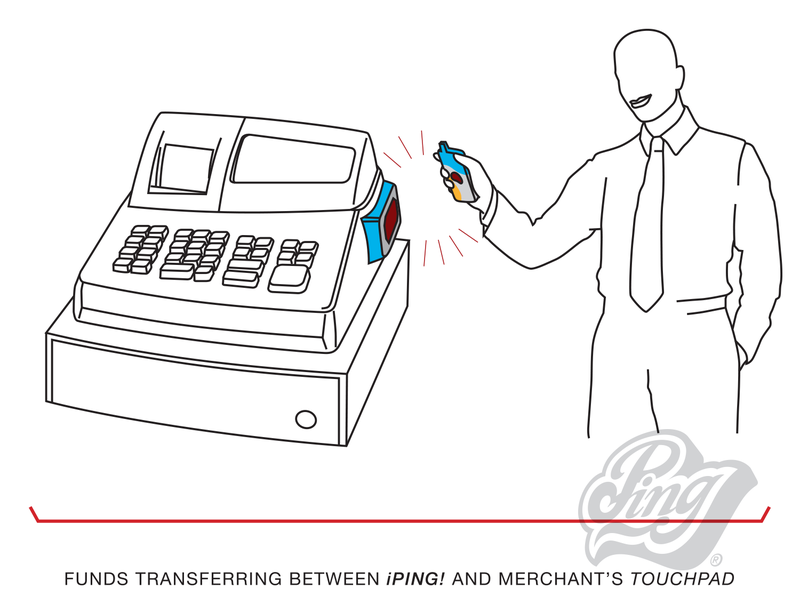 A vast and broad network of merchants/stores equipped with the “TouchPad.” And a more integrated global banking system. At that time, I had hired a patent attorney (Beem Patent Law Firm) to conduct a thorough search on the existence of such a device in order to proceed and obtain a U.S./International patent for it. The search turned out to be very promising – no body had yet had the same or similar idea, neither in the market (existing products) nor products in development (products which had had their patents but not being sold yet). 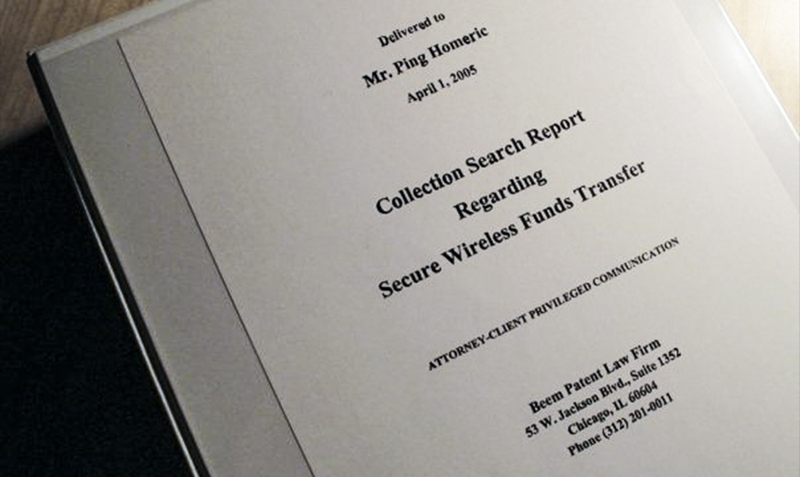 Based on that “positive” finding, in early May 2005, I approached Motorola, headquartered in Schaumburg, Illinois with my idea, but unfortunately Motorola had no interest in developing such a broad “payment-related” device/technology at that time.